यह पोस्ट दो भाषाओँ हिंदी और English में लिखी गई है. This post is written in two languages i.e. English & Hindi. Hello Friends! Today we are going to learn How to send Email from one place to another or one device to another like Mobile, Computer, Laptop, Tablet etc. This post is only for those who don't know how to send Email and wanted to learn. Even we'll discuss here Gmail, Yahoo, Hotmail, Rediff mail etc. So let's start leaning friends. हेल्लो दोस्तों ! कैसे हो आप ?आज हम इस पोस्ट में सीखेंगे कि एक Person दुसरे Person को Email कैसे भेज सकता है. यह पोस्ट Specially उन लोगो के लिए लिखी गई है जिनको Email Send करने का बिलकुल भी knowledge नही है. यहाँ हम Gmail, Yahoo, Hotmail और Rediff mail के बारे में भी Discuss करेंगे. तो चलिए शुरू करते है. Email stands for Electronic Mail. Earlier (Before computer came to the picture) when a person wanted to send any notice or information to his relative or friend, it used to take a long time like in hours, Days, Weeks or might be months also. A postman used to hang a bag holed with letters and used to deliver the cards over there. Today also it is going on but today the situations are just the opposite. Today (After Computer & Internet came to the picture) we can send any information, notice, message, Photos, files within a second. Just because of technologies are growing day by day. Today we can send any message in written or even in audio & video format also. जीवन में सफलता पाना है तो एक बार यह जरुर पढ़ लें. What is SEO in Hindi. Search Engine Optimization. As we know If we wanted to send any post card from one place to another, we required two addresses. One is Sender Address which we mention as "From" and the second one is Receiver Address which we mention on the card as "TO". Here also the same situation, On Internet each & every person who sends & receives Emails, have their one unique id called as Email-ID or Email-Address. For Example, an Email Id looks like this - [email protected] symbol @ called as At the rate. क्या आपके Mobile में है ये भारत सरकार वाला Anti Virus ? QR Code क्या होता है ? इसके बारे में सभी को पता होना चाहिए. For getting a unique Email ID, first, we have to register our self on an Free Email Service Website or Portal like - Gmail, Yahoo, Rediff mail, Hot mail etc. These Websites provides Free Email services over the world. Many companies are who provides free Email Services. Suppose that the Person A registered one Gmail and got his Email Id and he wants to send an Email to Person B. then first of all Person A will login with his Gmail account and for sending any mail he has to click on Compose Mail. इन्टरनेट पर यदि हम अपना एक Unique Email ID बनाना चाहते है तो इसके लिए हमको Gmail, Yahoo, Hotmail, Rediff mail या फिर ऐसी कई सारे कंपनियां है जो कि Free Email Services Provide कराती है उन पर Free Registration करके अपना अपना Account बनाना होगा. 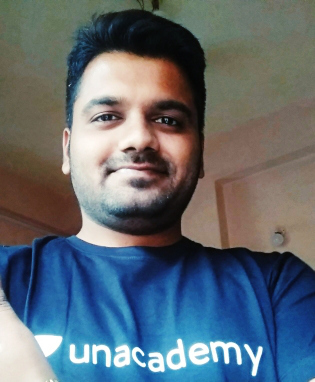 इसके बाद हमे अपना एक Unique Email Id Choose करना होता है. उदाहरण के लिए मान लेते है कि एक आदमी जिसका नाम A है वो दुसरे आदमी B को कोई Email भेजना चाहता है. और इसके लिए A ने Gmail पर अपना Account बनाया हुआ है. 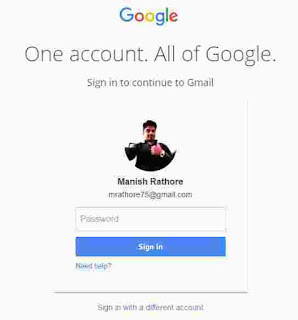 तो सबसे पहले A को Gmail पर Login करके अपना Account Open करना होगा. 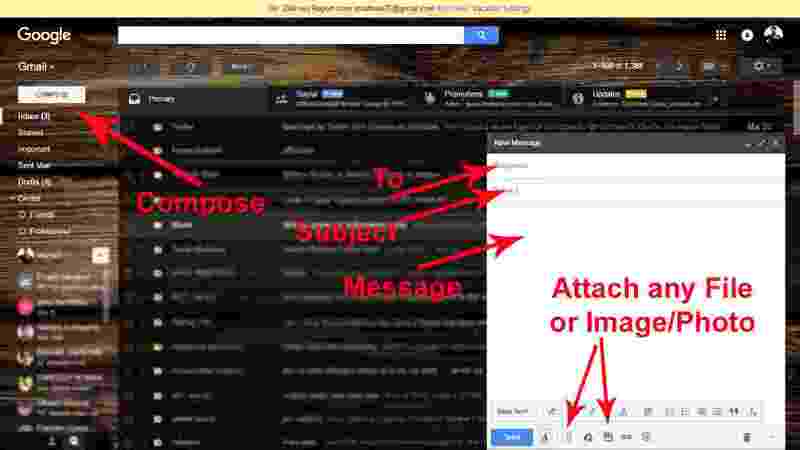 अब यदि A किसी को भी Email Send करना चाहता है तो, इसके लिए सबसे पहले Compose Button पर Click करना होगा. As he clicks on Compose Mail He'll get a new window. In "To" he has to mention Person B Email Id. In "Subject" he has to mention a proper subject and in "Message box" he has to type any message which he wants to send to Person B. And here If he wants to send or attach any File or Photo, also can do with the help of many buttons are available there. After completing this message as Person A clicks on the Send button the message will be deliver to Person B within a second. This is the process of sending Email from Person one to another. जैसे ही Compose Button पर Click किया जाता है एक और Window open हो जाएगी. अब जिसको भी Email भेजना है उसका Email Id लेकर "To" में लिखना होगा. और Subject में लिखना है कि ये जो मेल भेजा जा रहा है है वो किस सम्बन्ध में है. इसके बाद Message Box में अपना सारा, जितना भी बड़ा Message है वो Type करके Send Button पर Click किया जाता है. जैसे ही Person A जो है Send Button पर Click करेगा, उधर तुरंत ही यह Email Person B को Receive हो जाएगा. So Friends ! Today we learnt What is an Email & how we can send it. So If you Like this post then please comment under this post so I can write more post for you like this. If you don't like this post then also comment and tell me so I would change my topic. So see you in my next post. Take Care & bye. तो दोस्तों आज हमने सिखा की Email क्या होता है और Email कैसे भेजा जाता है. यदि आपको यह Post अच्छी लगी हो तो Please Comment जरुर कीजियेगा ताकि मैं इसी प्रकार की और भी पोस्ट आपके लिए लिख सकू. यदि आपको यह Post पसंद नही आई हो तो भी बताइयेगा ताकि आगे से मैं इस तरह की Post न लिखकर अपना Topic Change करूँ. तो दोस्तों अपना ख्याल रखियेगा, मिलते है मेरी नई Post में.